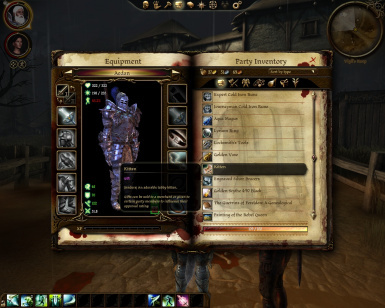 This mod adds the companion's name to the gift descriptions of The Stone Prisoner, Return to Ostagar and Dragon Age: Awakening. I recommend downloading (if you haven't already) Madd Gift Guide (http://www.dragonagenexus.com/downloads/file.php?id=385). With both mods installed every gift should have the companion's name in the description. 1. Copy the uti files to "My Documents\BioWare\Dragon Age\packages\core\override"
1.0, 2010/03/18 - Initial release.